Long before the Pendulum Wars, the Coalition of Ordered Governments (COG) existed only as an obscure world-government philosophy in the mind of the fanatic socialist, Alexiy Desipich. Its austere canon was based on eight guiding values: ORDER, DILIGENCE, PURITY, LABOR, HONOR, LOYALTY, FAITH and HUMILITY. As the Pendulum Wars continued, however, the COG grew into a legitimate, albeit minor, political party thanks to Nassar Embry. They eventually became a major world power after defeating the Union of Independent Republics by developing the Hammer of Dawn. Six weeks after their victory, the Locust emerged. After Emergence Day, COG leaders were the only ones willing to take the necessary steps to survive the epic devastation. They ratified the Fortification Act, which established martial law and transformed Jacinto Plateau into an unassailable fortress. However, by 17 A.E., the COG had completely fallen apart after Locust had seized almost all of Sera's land. 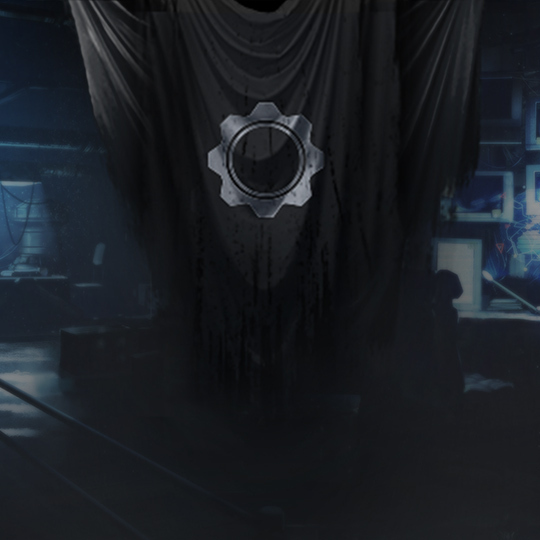 The place of a front-line COG soldier within the machine of the Coalition is a "Gear". Upon recruitment, every Gear swears an oath called the Octus Canon: "I shall remain vigilant and unyielding in my pursuit of the enemies of the Coalition. I will defend and maintain the Order of Life as it was proclaimed by the Allfathers of the Coalition in the Octus Canon. I will forsake the life I had before so that I may perform my duty as long as I am needed. Steadfast, I shall hold my place in the machine and acknowledge my place in the Coalition. I am a Gear."